1.4 trillion microfibers particles weighing from 93,000 to 236,000 tons, can be found in the marine environment and are found pretty much everywhere you look, if you looked closely enough. 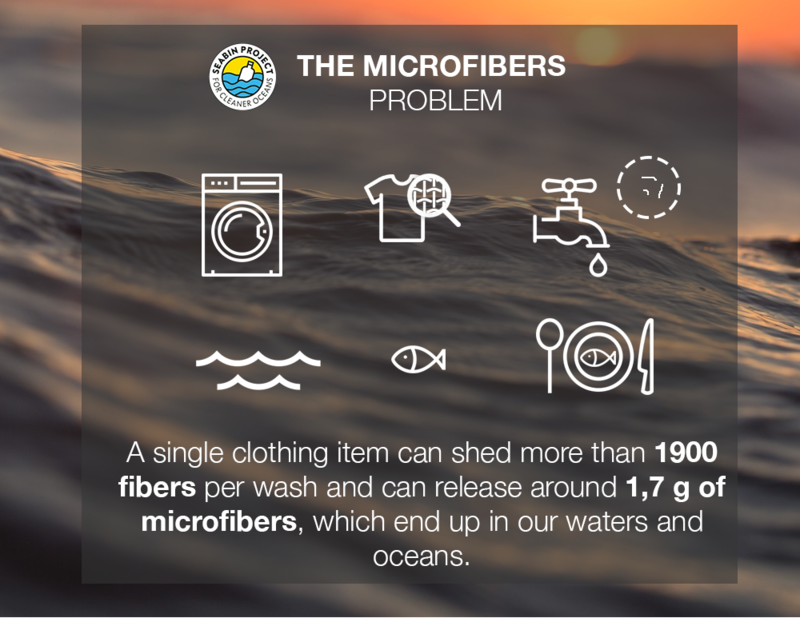 In the last decade we have realized that microfibers are a growing issue of concern for the health of our oceans and the planet. 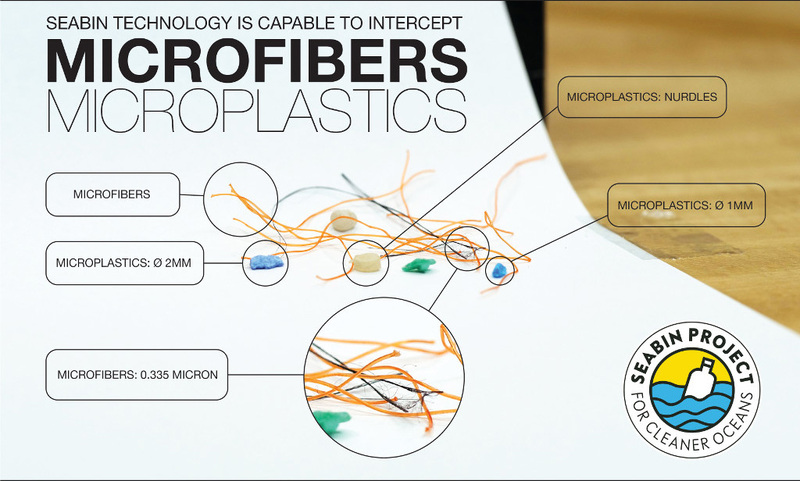 Microfibers are a type of microplastic particle primarily composed of polyester, acrylic, polypropylene, polyethylene and polyamide fibers that contaminate shorelines and our oceans on a global scale. Microfibers entry into our oceans are from many sources but the shedding of textiles during wear, tear and washing is one of the main source of how microfibers makes it way into our environment. 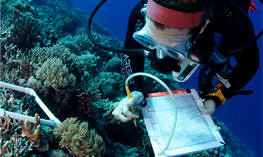 Because of its minute size, traditional sampling methods were unable to capture them and went ignored and unnoticed until only recently. For example, the Hudson river alone contributes up to 300 million microfibers per day to the ocean. 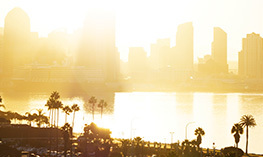 Waste water treatment plants are not designed to capture particles that small and the majority of the current filters used are not designed for microfibers. Synthetic clothing when washed will shed a tremendous number of microfibers; a single clothing item can shed more than 1900 fibers per wash and can release around 1,7 g of microfibers. The Characteristics of the garment and washer significantly affect the amount of material shed. To solve this problem, we should aim to go directly to the source, synthetic clothing. Unfortunately, 60% of clothing produced worldwide is synthetic and it would be unrealistic to think that we can stop production of clothing made out of synthetic material in a reasonable timeframe. So, we must find other solutions while a reduction of this production takes place. Filters in washing machines greatly reduce the amount or microfibers that enter grey water effluent systems like these or these. These two great initiatives remove a substantial number of microfibers before they even exit the drum of your washing machine. One of them is the guppy friend, a bag to put your clothes in, that not only traps microfibers, but also prevents the clothes from producing more microfibers, increasing the life of your garment. The other one is the cora ball, designed by the rozalia project and inspired by the wildlife of the sea. The cora ball is put in the washer, just like your clothes and, with a pattern similar to that of how corals feed, microfibers get entangled in it, which you can then remove and discard properly. Furthermore, companies with sustainability as their core value are investing in their whole supply chain to reduce microfibers and their shedding early on in their manufacturing lines. Patagonia funded a project to investigate the shedding of microfibers from their garments and actively work to reduce the environmental impact of their business. 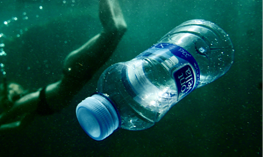 All of those initiatives tackle the issue by preventing microfibers from entering our oceans. However, there are still a lot of microfibers already in our oceans and water ways and many more will enter in the coming years, despite the aforementioned initiatives. What, then, can we do with the microfibers that are already polluting our waters? 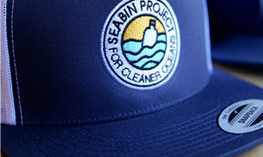 Seabin Project was founded with the mission of cleaning the surface of the oceans from floating debris, one marina at a time. Through the progress of our project, and even though it was not our target we first realized that we were catching a substantial fraction of microplastic in the surface waters of ports and marinas. 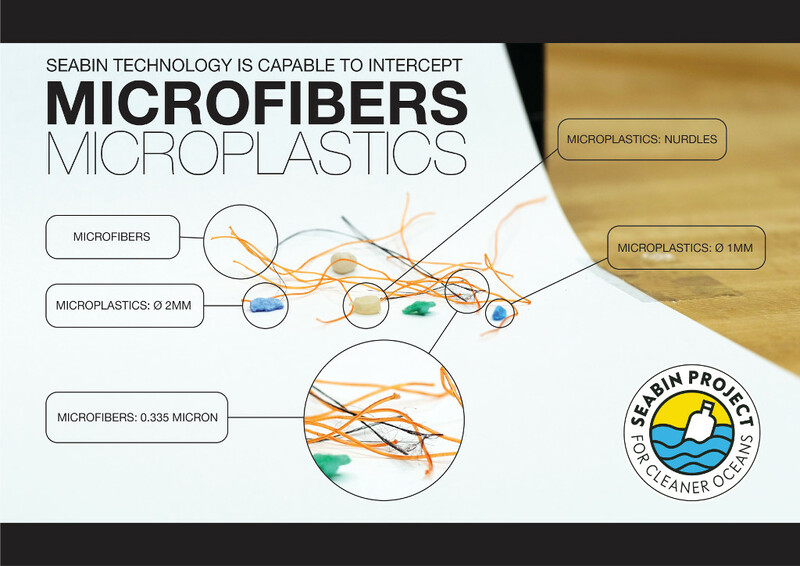 The Seabins are currently removing microplastic particles in the size range from 2 mm to 5 mm. 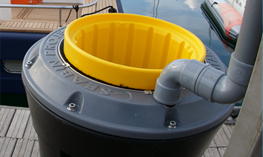 The team at Seabin identified marinas as strategic locations to deploy the Seabins for capture of macro and microplastic but there is currently no information regarding the amount of microplastics inside ports and marinas, consequently we have designed a specific catch-bag to scientifically monitor and capture microplastics. This information is then to be used by the scientific community with the aim to increase our knowledge of plastic pollution in our waters. Using this method we found that 18% of the microplastics that Seabins have captured were filamentous. After this initial success we decided to create a catch bag with modifications that could be used on a regular basis by all Seabin owners to capture macro plastics, microplastics and microfibers more efficiently. We are still in the prototyping stage for the micro fiber filter, but the results so far are very promising. We have essentially created a fine mesh compartment in the bottom of the Seabin catch-bag with the same material used for standard scientific methods. 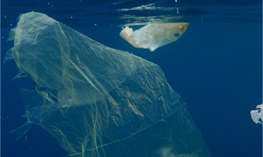 The macro plastics, microplastics and microfibers that reach this area of the catch-bag will be caught while allowing water to still flow through the catch-bag in the upper compartment. 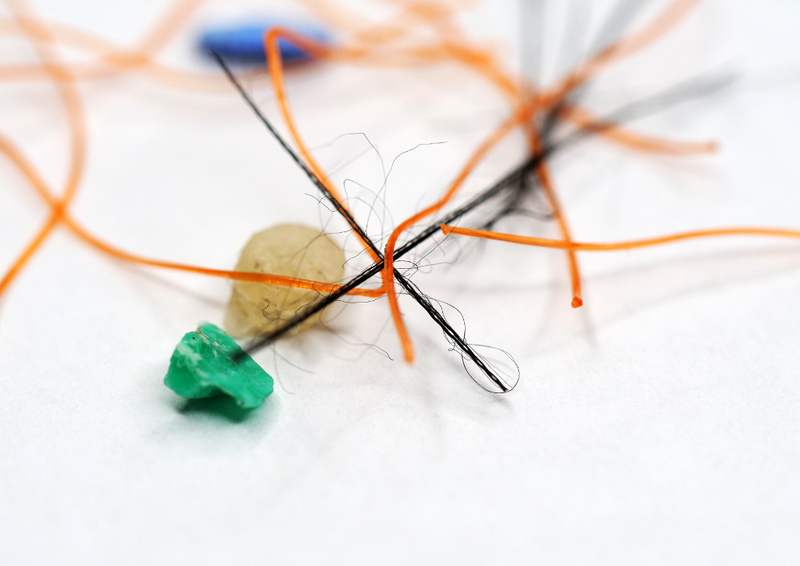 The 5:1 ratio of macro/microplastics to microfibers being captured ensures that the impact on micro organisms is minimal and is in line with their reproduction capabilities. Whilst it is estimated that the amount of micro organisms found in a polluted corner of a marina is bound to be minimal, it is still early days with this research and much more work still needs to be done to determine if this process has a positive or negative impact on the environment. 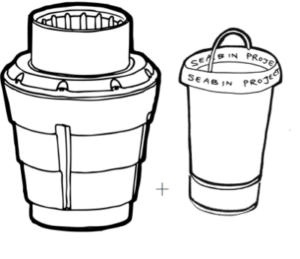 The team at Seabin Project are working to have the technology in constant evolution and are using every opportunity to further develop its debris recovering capabilities, for cleaner oceans.